President Elect Bill and his wife Carol, having a good time at the Bi-District Foundation Banquet. Son and Father PDGs David and Ken Reid are welcomed at PETS training by Rotarians David, Myra, and Tanya. 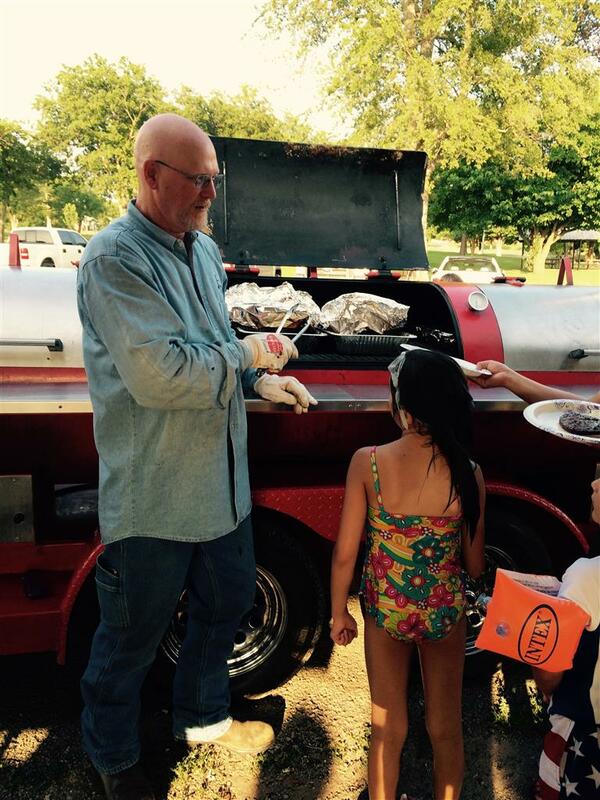 Pictured to the left, is Rotarian of the Day for March 12, Bill Cubbage. March Rotary Students of the month are Guy Parker and Jordan Hogrefe. 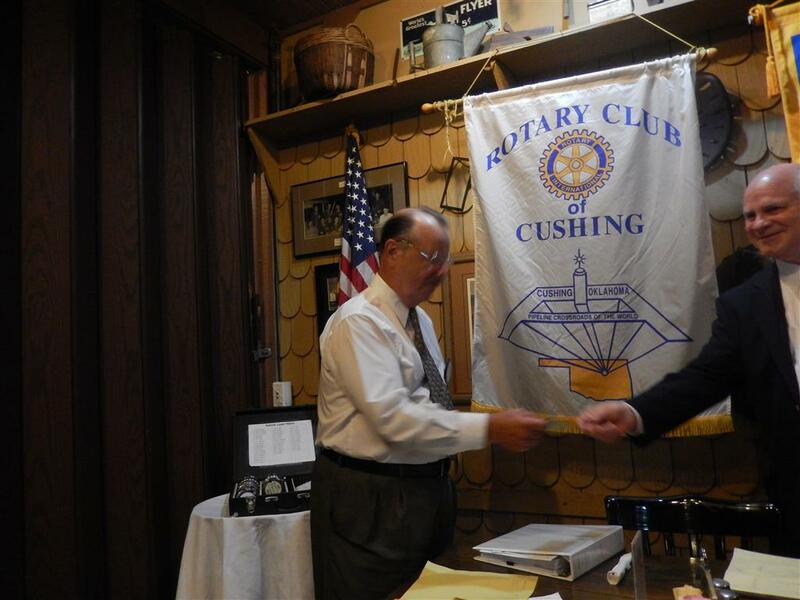 Kevin Jackson is welcomed into Cushing Rotary Club by Melissa Amon and David Reid. 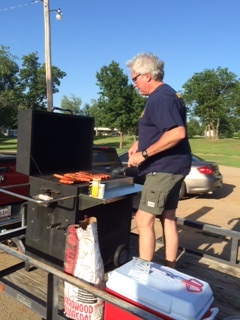 Past District Governor David Reid cooking for the summer reading program offered by the local Rotary Club. 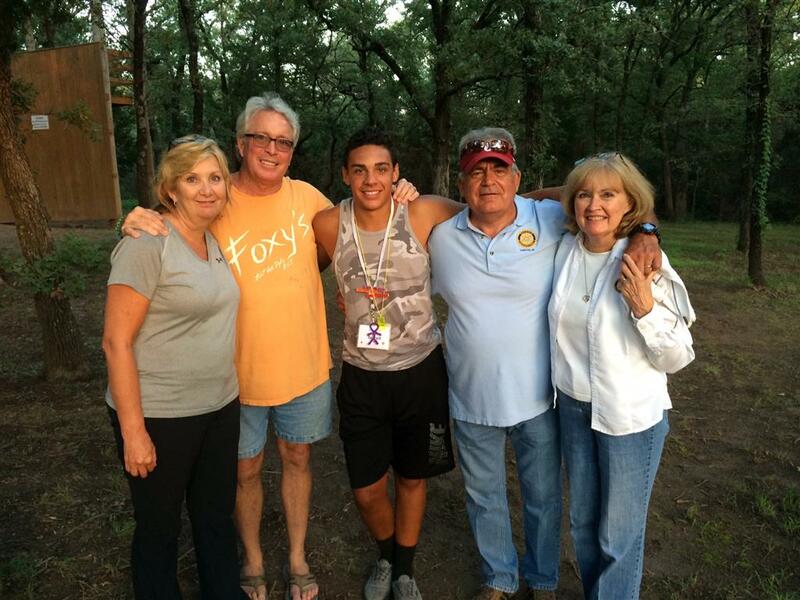 David, Myra, Tanya, and John visiting RYLA student, sponsored by the Cushing Club last summer. 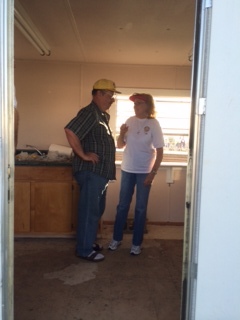 Bill and Tanya working the Cushing Rodeo Popcorn Stand. The Bi-District Foundation Banquet is March 21st at the NCED Conference Center and Hotel in Norman. Registration can be found online at Rotary District 5750. Cost is $60.00 for your meal plus $100.00 if you do not contibute $100.00 per year to the Rotary Foundation. Again, registration is on the district website. This year's District Conference is being held at the Grand Casino Resort in Shawnee. The dates are April 16th,17th, and 18th. It costs nothing to attend. All meal expenses have been covered by the district. You need only to pay for your room reservations at $99.00 per night. There will be lots to do recreationally, as well as programs to attend. You will walk away, a more informed Rotarian. Please join us in attending this annual event. For more information, log onto the Rotary District 5750 website.